A rambunctious bottling from Walsh Distillery, forming part of their highly regarded Writer’s Tears range. This is the Cask Strength bottling, which is released in small batches every year. The 2017 releases consisted of just 5,280 bottles worldwide. 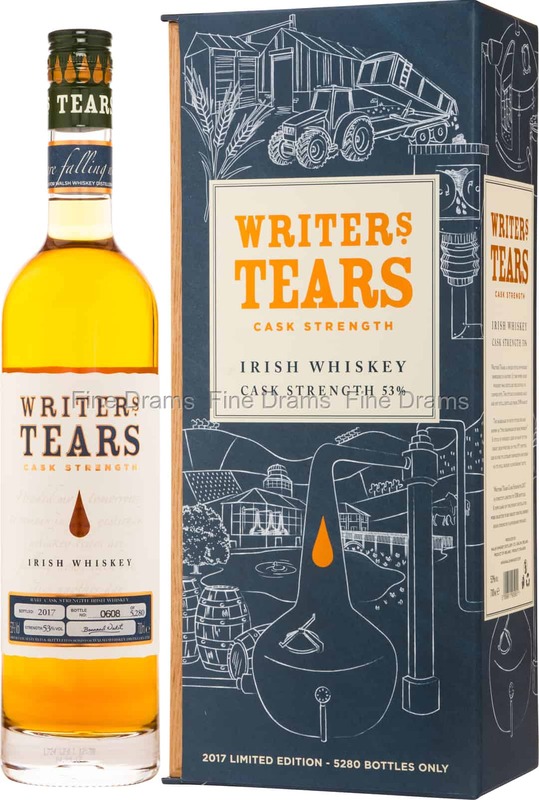 Writer’s Tears Cask Strength delivers flavours of chocolate, fresh herbs, cinnamon, dried fruit, oak, wine tannins, mango, apples, pears, nutmeg, milky coffee and all-spice. Bottled at a cask strength of 53% ABV, this is spicy, fruity and grassy, an Irish dram of pure quality.